Here are some business card examples for computer repair technicians. 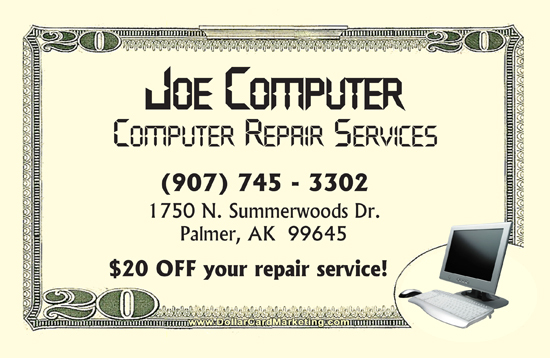 Here is a set of $20 dollar bill business cards that we designed for Joe Computer in Palmer AK. Joe Computer uses our dollar bill business cards as a $20 coupon for computer repair services as well as replacing his old computer repair business cards.